We may not all buy into the whole roses and chocolates on Valentines day thing, but there is a reason why they are the considered classics. 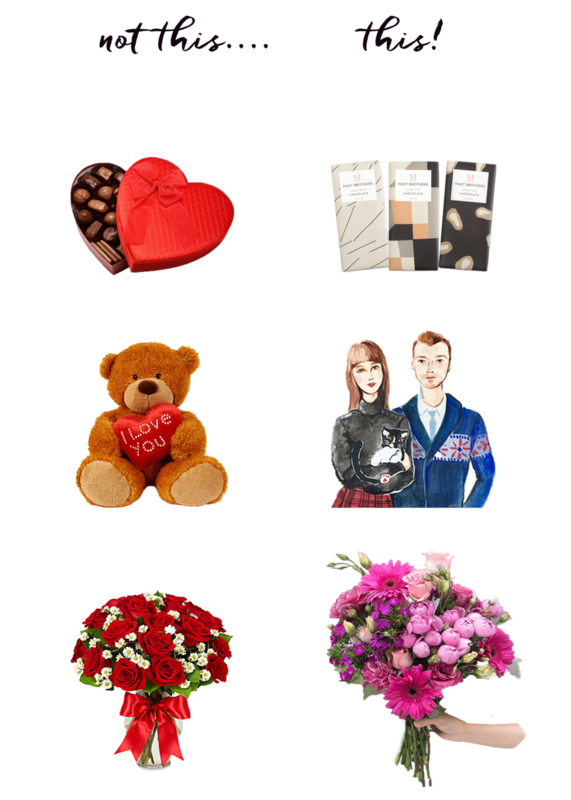 Yeah, Im always going to be secretly happy to get chocolate and flowers, even if I told you not to get it for me. I don't want the heart shaped boxed chocolate from the drugstore! Lets be real, i'll still totally eat it if its in front of me but with a little bit of tweaking I would be super happy to get some classics for v day. Making dinner won't hurt either. THIS: Chocolates, Mast Brothers. Custom illustration, TombaMomba on Etsy. Flowers, Urban Stems but if they are not local to you then try bouqs for similar styles.